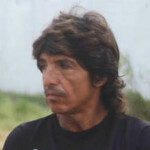 Jesus Castro Fiol was born in a small village called Miraflores in the foothills of the Sierra de la Laguna mountains. Orphaned at the age of ten Jesus made the long perilous trek alone to find his godmother in Cabo Pulmo. Here he grew up and spent the rest of his life. He was a farmer and fisherman and became known as one of the best pearl divers in the region. Jesus married Mary Montaño and raised 10 children. As he got older, Jesus could be found on his porch, with a cup of coffee in one hand and a cigar in the other, animatedly recounting the stories about his lifetime as a Cabo Pulmo fisherman. Jesus had an amazing constitution and was said never to get sick. He died at the age of 108 years. Maria Castro Montano was the eldest daughter of Jesus and Mary. She grew up and lived for most of her life in Cabo Pulmo. Maria remembered her Dad showing her the reefs through a glass-bottomed bucket. Maria was full of stories and recollections about her family growing up and the experiences in the community. She was also knowledgeable about the traditional use of plants, which was particularly important in the early days before they had the medicines we have today. Maria was always a delight to be around with a ready smile and full of joie de vivre. Juan Castro Montano, the eldest son of Jesus and Mary, grew up and lived all his life in Cabo Pulmo. Since childhood, he learned from his Dad how to fish for sharks, turtles and large finfish. He never dived for the pearls like his Dad because they were all gone by the time he was old enough. 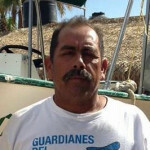 Juan experienced the decline in fishing at Cabo Pulmo, so for six months of the year he would fish for spiny lobster in Bahia Magdalena on the other side of the Peninsula. Periodically, when visitors came to Cabo Pulmo he would take them out to dive on the reef or go fishing. In the early 1980s scientist from the local University (UABCS) began to study the corals on the reef and pointed out to Juan the damage the fishermen’s nets and anchors were doing. It was then that Juan began to think about conserving the reefs. Together with others, his greatest satisfaction is the achievement of making Cabo Pulmo a National Marine Park. Juan gives thanks every day to be able to wake up in a place as beautiful as Cabo Pulmo. Today, Juan and his family run a restaurant at the top of the beach and you’ll find him ready to share stories about the old days with his grandchildren… and any one else! 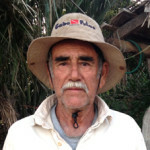 Ricardo Castro Montano is a native of Cabo Pulmo. He was always a fisherman, but today works along with his son in ecotourism, primarily to take people diving but also providing horses for riding. 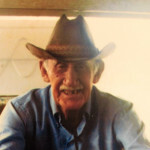 Ricardo was one of the earliest to be concerned about the condition of the reef and was therefore supportive of the idea of protecting and preserving what remained in it. Ricardo’s greatest inspiration in life was his father. Following his advice has made Cabo Pulmo what it is today. Ricardo continues to fight for conservation in the interests of his children and grandchildren. He advises them that it is not easy. But it is not impossible. Mario Lucero Castro, grandson of Jesus Castro, was born in Puerto Adolfo Lopez Mateos. During his early years he only visited Cabo Pulmo during the holidays. Then, for a while he fished with his father, Enrique, and his brothers. Mario always loved diving. He decided to leave Cabo Pulmo to become a certified dive instructor and guide. He soon returned and, with the support of a partner and his brothers, he started a dive shop and took people diving. He established Cabo Pulmo Divers catering to both scientists and vacationers. One of his greatest achievements, for which he is recognized, was to provide early support in the decision to stop fishing and find an alternative livelihoods that did not damage the reefs. Roberto was born in Loreto, Baja California Sur. He spent some thirty years as a dive guide working for a shop Cabo San Lucas. 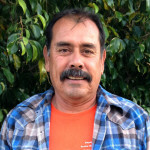 Over time, Roberto developed deep friendships within the Cabo Pulmeños community. Whenever he had the chance, he helped local businesses in many different ways. Roberto always had a simple life, full of friends of all ages. Windsurfing was one of Roberto’s special passions. It was one day while windsurfing that he failed to return to shore. Grandson of Jesus Castro, and son of a fisherman, Kiki Castro was born in La Paz but Cabo Pulmo has always been his primary home. At first he was a fisherman but, as conditions deteriorated, he was forced to migrate to the city to find work. As conditions improved he returned to support the initiative of his brothers to build an ecotourism company. He considers the success of Cabo Pulmo today as one of his greatest achievements. Like many in the community he works on the conservation of turtles and is a strong advocate of the natural resources and a guarantor of what has been achieved at Cabo Pulmo so far. Cira Cruz Ramirez was born in Mexico City. 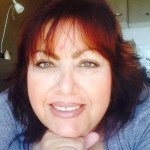 At the age of 17, she decided to take three months vacation in Los Cabos – and that was 25 years ago! Six years after arriving she married Enrique Castro (Kiki), grandson of Jesus and a Cabo Pulmo fisherman. After 19 years living in Cabo Pulmo, Cira has learned all about the conservation issues, understands the importance of it and she enjoys the wonderful things that nature bestows, from the dawn chorus of birds to the dying rays of the Sun. Cira’s experience and participation in the achievements at Cabo Pulmo motivates her today to promote the idea that people should respect nature wherever they might live so that their children, their grandchildren and all future generations can enjoy the wonders of nature in a similar way as they do in Cabo Pulmo. 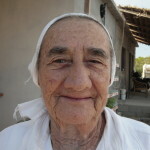 Granddaughter of Jesus Castro, the Cabo Pulmo pearl diver, Judith was born in La Paz. She spent her first twenty years traveling back and forth to Cabo Pulmo where Enrique, her father, and her brothers were fishermen. After leaving school Judith went to study and work in different parts of Mexico returning finally to Cabo Pulmo in 2008. Since then her primary focus has been the preservation and defense of the National Park. She has become a leader and spokesperson for Cabo Pulmo’s vision all over the world. Joining with the efforts and dedication of many others, Judith has contributed in many ways to make Cabo Pulmo what it is today. 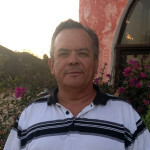 Edmundo Minjares Lucero, Son of “Tito”, Edmundo is originally from La Paz although came to Cabo Pulmo early in life. His father was originally a diver by vocation and traveled around much of Baja California Sur, until he settled in Cabo Pulmo in the 60s. Here he decided to establish a restaurant for the few visitors who came in those early years. Edmundo continues his father’s restaurant. He has 2 children. He wants Cabo Pulmo to be conserved so that it may continue to be enjoyed by future generations. Ricardo Castro Fiol is the grandson of Jesus. He, too, is the son of a fisherman. He was born in La Paz but was raised in Cabo Pulmo where he still lives today. 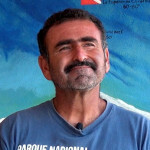 Ricardo has been a diving instructor for 18 years, and now runs the dive business in Cabo Pulmo that he established. He was inspired by his grandfather early in life and it was his father who taught him to respect and love the ocean – so when he first saw divers going out onto the reefs he wanted to be like them. He recognizes and appreciates the fight that his uncles undertook on behalf of everyone to protect the reefs. Today, he joins enthusiastically with his cousins all of whom have a strong love for the ocean, and devote their efforts to ecotourism and the conservation of Cabo Pulmo. Gama was born in Veracruz, but decided to make Baja California his new home. Gama was a passionate diver – and particularly he loved free-diving. 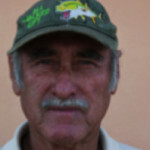 He worked as a dive guide in Cabo Pulmo and the neighboring region. 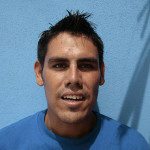 He enthusiastically participated in the Mar Vivo project, playing the role of Jesus Castro Fiol as the young free-diver. Gabriela Castro Murillo was born in La Paz but Cabo Pulmo was the place where she grew up. 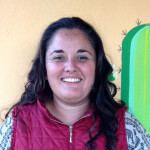 As a graduate of the Autonomous University of Baja California Sur, she hold a degree in Alternative Tourism which she uses to develop her career in promoting ecotourism activities. She currently works at the Center for Community Learning, or Learning Center, which teaches children about health-related issues and environmental stewardship. 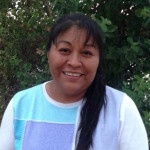 She plans to continue working on community development and reef conservation projects in Cabo Pulmo to benefit both the community and the visitor’s experience. Jesus’ great-grandson David was born in La Paz and raised in Cabo Pulmo. David is also the son of Mario Castro. Early in life David decided to become a diving instructor and guide like his father. He now works at the Diving Center which his Dad established. 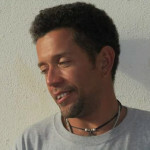 David has specialized in scientific diving and snorkeling. Currently, David is working on several research projects with scientists to reveal how sharks and other large fish use the region and determine their migration patterns. Love for the ocean and the peace and tranquility of Cabo Pulmo motivates him to want to educate future generations so they too can respect and enjoy this very special place.